When is iPhone 5s coming out? Let the Speculation Begin! 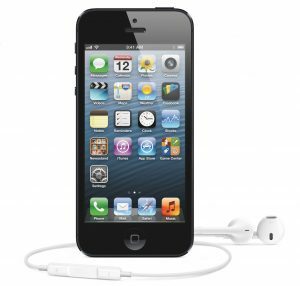 Apple analysts and predictions are a dime a dozen in most cases, however, the one analyst who got it right when he made predictions about the iPhone 4s has released a statement about his guesses for the iPhone 5s. With CES right around the corner, everyone is listening to any reliable speculation they can get their hands on, in hopes of answering the question on everyone’s mind: When is iPhone 5s coming out? The latest speculations for the iPhone 5s seem to be ‘no-brainers’ when you think about Apple’s upgrade patterns thus far. Of course the first prediction (which likely isn’t a prediction at all) is that Apple will continue their traditional phone naming sequence. So far there has been the 3G, 3GS, 4, 4S and 5. To think that the phone would be named anything besides 5S would be a stretch. Then comes the most important question: When is iPhone 5s coming out? Peter Misek, the aforementioned analyst, thinks that the iPhone 5S will be released as early as June or July of 2013. Why so soon? Apple may release the 5S early in an effort to reduce sales lost because of people holding out for newer models of phones in an attempt to make their upgrades count. The same analyst also predicts a few traditional upgrades to the phone. NFC will likely make its way in, along with upgraded camera hardware and likely more storage (analysts predict up to 128 GB). Some analysts say Apple will follow their pattern of changing the body style every two upgrades, which would leave 5S looking the same as 5. However, Misek thinks that the new model will be available in up to 8 different colors. This is obviously a stretch and is likely pure speculation on Misek’s part as there is no pattern to back up such guessing. With CES right around the corner, predictions are swirling around every device imaginable, however, the iPhone has always been the subject of excessive scrutiny. For these Apple lovers, summer 2013 can’t come fast enough!